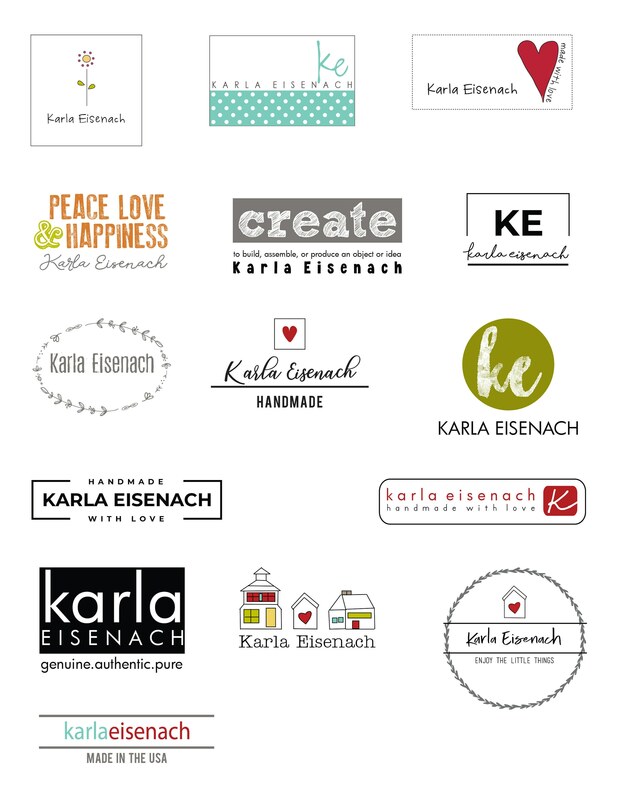 This label sheet includes one each of our personalized label designs. Colors cannot be customized, but are printed in a variety of colors as shown. The labels come on a sheet and can easily be cut apart and adhered to fabric. When cut apart, each label measures between approximately 2"- 3" wide, depending on the design. Such a fun product to give my quilts that super personal(ized) touch! LOVE these labels! Love that they are personalized. Great variety! Fun labels!!!!! Thanks so much!